Remember That Money Is A Useful Tool But God Is Our Source. Put God First, Follow His Lead, Fulfill Your Purpose And The Money Will Follow. So you create music... well that's great! Keep using the gift that God has given you. Do your best to surround yourself with other like minded believers and musicians. Connect with them. In life who you are connected to really matters. Just ask anyone who is successful. You never know who they know but most importantly, when you are connected to God, all things are possible with him so by you being connected to God all things are now possible to you too because of that invaluable connection! 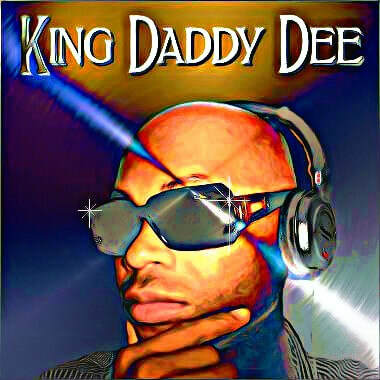 Have you ever thought about getting your music heard? Why not start off through a music publisher that's well connected. I mean where do you think video games get there music? What about major commercials or local commercials? What about Movies, independent, major, world wide, website owners, etc.? Where do you think cell phone companies get ideas for new ringtones? Has it hit you yet? MUSIC PUBLISHERS! There are many publishers out there however (my opinion) AudioSparx is the coolest, freshest, hottest place you'll want to join to get your music put out and heard and receive decent pay for your work. The main point to focus on is to be grateful that God gave you a gift to create music and then get your music out there so others know about it. If you write, play, sing or even mix and master music, know that there are billions of others who would love to be able to do what you can do. God loves to bless a grateful heart. So be grateful that God chose you to display creativity in the form of music. Don't be afraid to express yourself. Get to work (creative work) and show off your work. AudioSparx (like many other music publishers) has many, many clients from all walks of life from the filming industry, TV, Video games industry, churches small and large, radio stations, website owners, etc. who are always looking for new fresh content for their next project, so don't limit yourself to just the public audience a.k.a. don't leave money on the table. You have more business to make than you may know. There are businesses looking for your latest work and they just haven't found you yet. Never GIVE UP! "there's more where that came from!" by all means, if you know it's a "yes" don't wait and JUST DO IT! Make sure you know WHY it is your passion first and then just do it! Submit your music to music publishers online! If you would like to submit to AudioSparx click their logo above or below, then click sign up and then register with AudioSparx and start submitting your best work today. 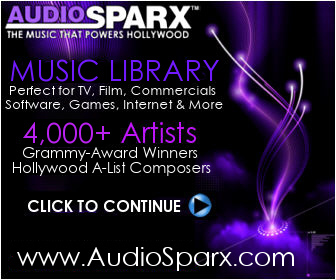 With AudioSparx you can create any style, any tempo, all genres. Hint: instrumental music sells more than tracks with vocals in this industry but tracks with vocals are certainly welcomed. This is how most of the biggest music publishers are accepting music now. Save the stamp and upload them asap. You'll be glad you did. Again no need to mail a CD, just register with AudioSparx online and upload your work, place it within the right genre, focus on quality over quantity and give some detailed description of your work. Also give as many keywords as you can that would best describe your work. Share your work on social media so others will get to hear you and they may share your work for even more exposure. AudioSparx spends a substantial amount of money advertising their sites but you can help gain more exposure by sharing your work to others online. If you are a writer, write an article about your music in your blog, post in forums, submit a press release, etc. and remember to be creative. You're done after that then repeat the process. GIVERS GAIN. BE A GIVER. That's right, be a giver. Live as a giver. Make giving your life long commitment. Most importantly give where you know your giving is making a difference. You can give in many ways, sharing blogs, sharing useful information to others in need, sharing someones business to another you know would benefit from that information. Don't just look for what will benefit you all the time. Share something that will benefit another with others whom you will not benefit from and you will (in time) on purpose attract someone to share what you would liked shared that will benefit you. The more you give the more you gain. Expect for good things to happen to you and they will. The more grateful you are, the more God will give you more reasons to be even more grateful. It's true, TRY IT FOR YOURSELF but do it from your heart, give it all you got and mean it, take your time and really desire to help others and expect great things to come back to you. Believe us, great things will come to you! USE YOUR CHILD-LIKE FAITH TODAY! “Music is a supernatural force on the earth. It relaxes me. It is what I like to do at times. It is what I desire to do any time I can. It is more than a desire for me. It's my calling! It is something I like to do to please my parents. I like play with others! I prefer not to say! It's complicated but I enjoy creating music. I will submit my music to AudioSparx! I will play, sing where ever I can and submit to Music Publishers! Submitting to AudioSparx and other Music Publishers! I prefer not to say! I don't know but I have a goal and I'm going to get started ASAP! I don't know. I need some direction, skill and focus! "Once you say you're going to settle for second, that's what happens to you in life."